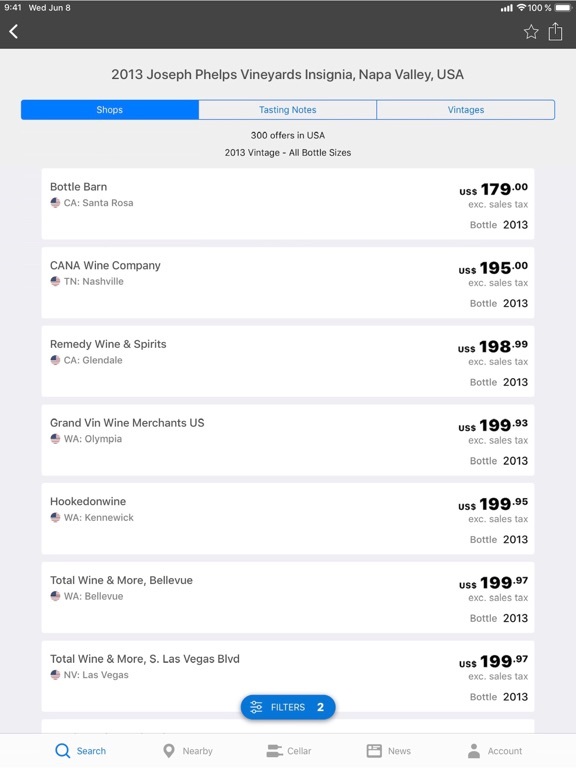 Find, compare and buy wines using the world’s #1 wine resource: The Wine-Searcher app is a genius shortcut to your favorite wines, beers and spirits – wherever you are on earth. 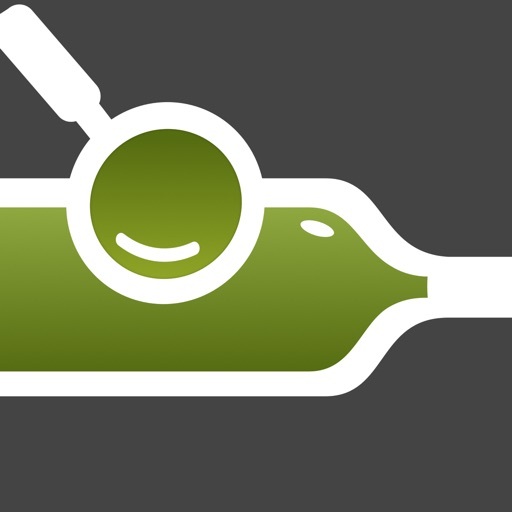 Just scan the label and find a wealth of info on 8 million wine offers from 55,000 merchants. 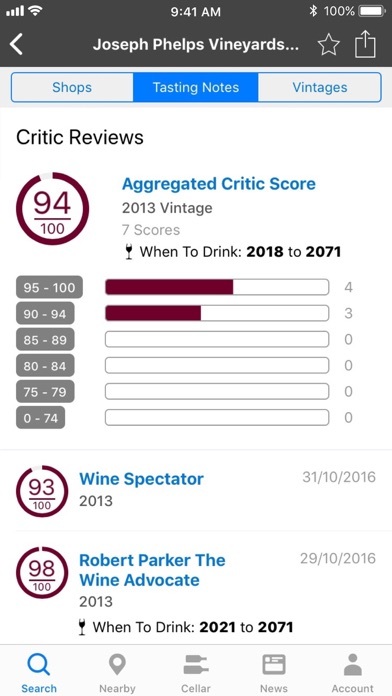 With the Wine-Searcher app, you can look up a wine to find out prices, critic scores, grape and region information, available vintages, and most importantly, where to buy. 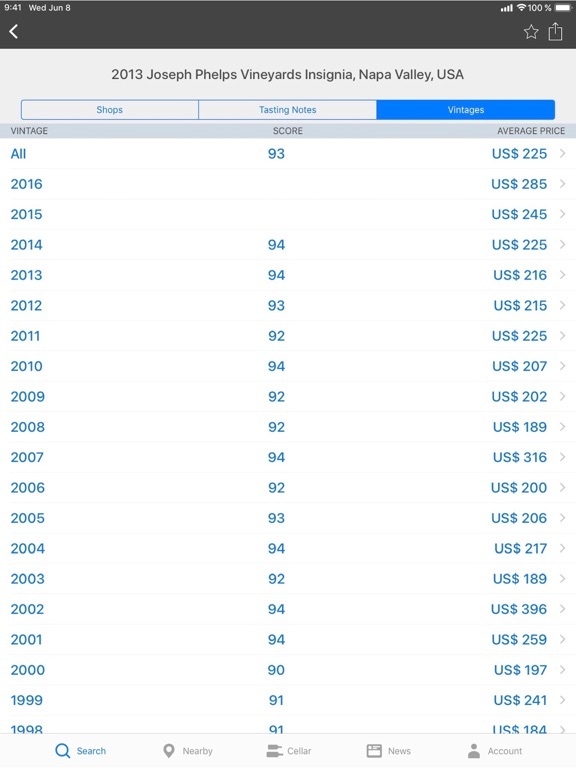 You can even rate and review your own favorites, and share them with the community. Looking to compare prices for the 2005 Mouton Rothschild? Or wanting to get information on a rare Cognac, bourbon or single malt Scotch whisky? 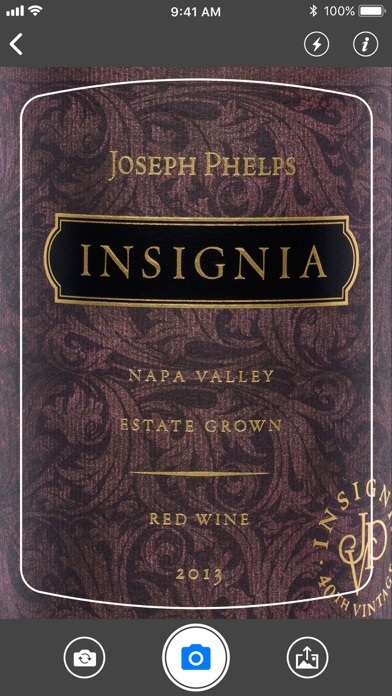 Maybe you’re just interested in the best vintages for your favorite vineyards and wineries. 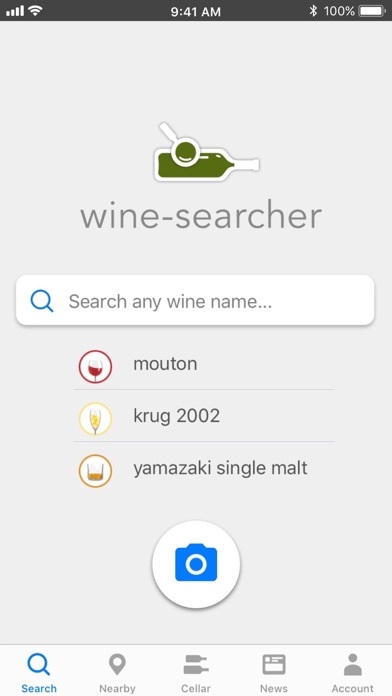 Use our Recognize Label tool to scan the wine, beer or whisky in front of you, or just type in the name of a product you want to learn more about. 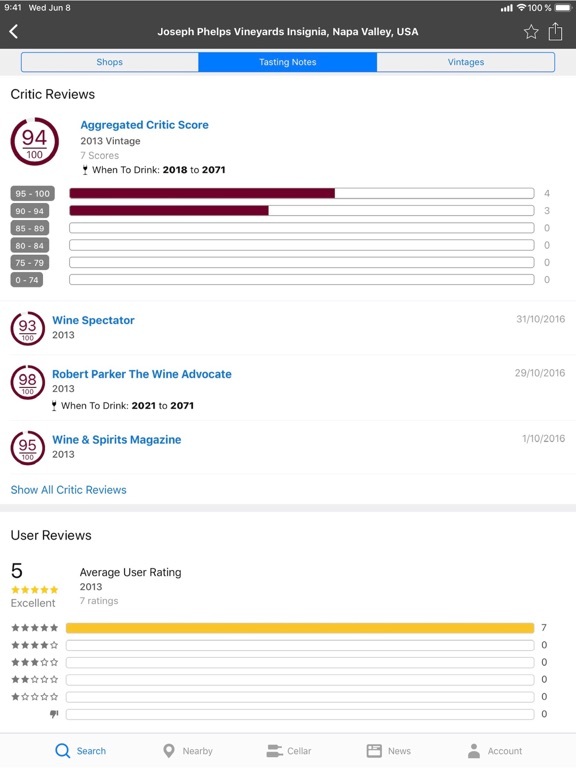 Find out about grape varieties, producers and regions, access pricing information across vintages, and even see how critics have scored it. 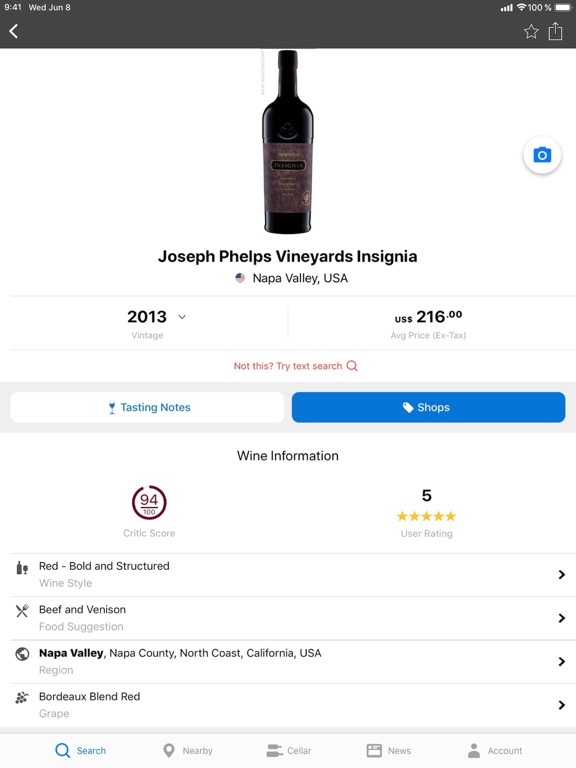 With the Wine-Searcher app, you can always buy a five star wine from a palate you trust – your own. 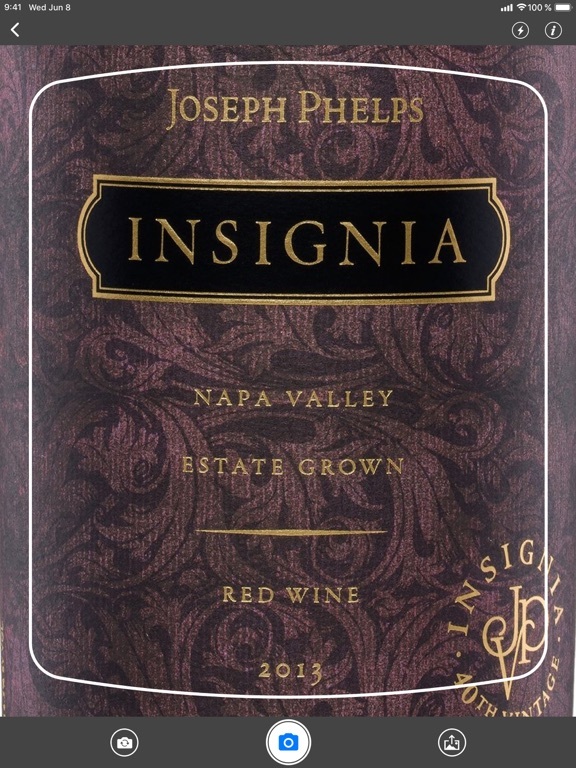 Rate and review wines you've been drinking, and see what others have been enjoying. You can even save wines you haven't tried yet for later. Find out what wine stores are closest to you, and see what wines are the best value at your local wine merchant. 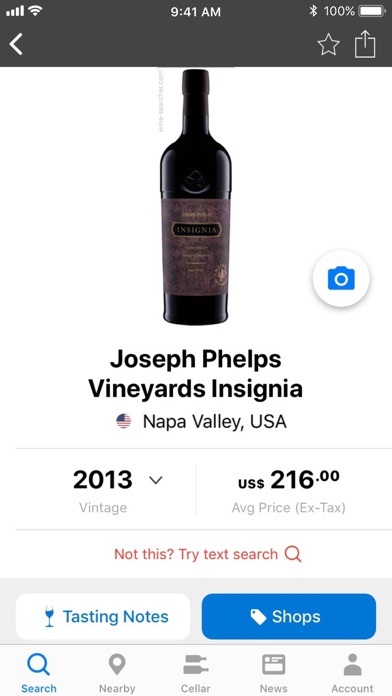 Buy wines online through the merchant’s site, or get in touch with a store directly through the app. Access Wine-Searcher’s exhaustive encyclopedia covering producers, wine regions, appellations and grape varieties – from the ubiquitous to the obscure. 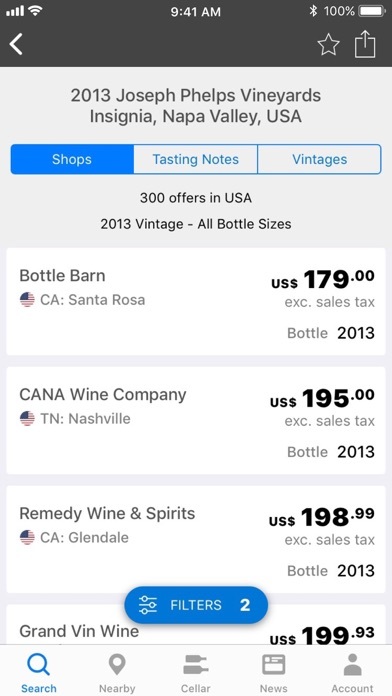 The Wine-Searcher app is so much more than that: find and compare prices of some of the world’s best Scotch whisky, bourbon, Cognac, gin, rum, tequila, and even beer. 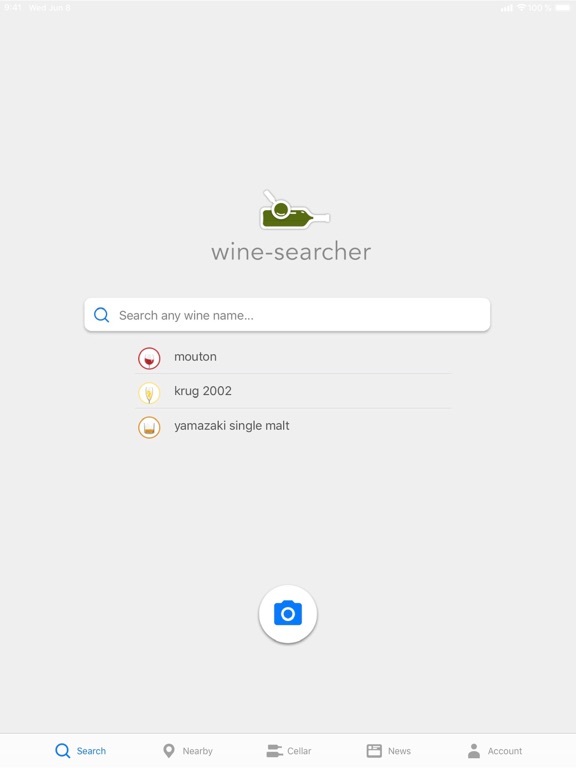 Wine-Searcher is free to use. 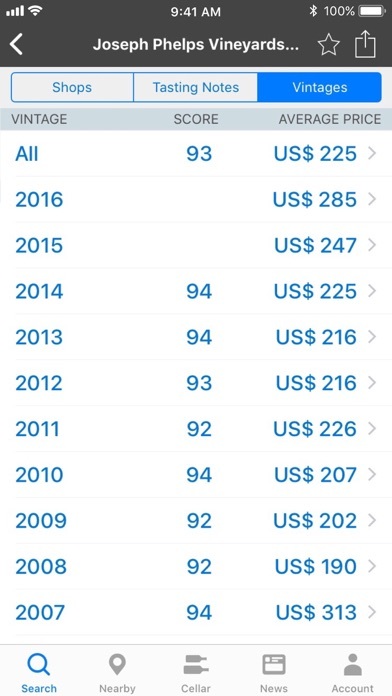 You can purchase an auto-renewing subscription to Wine-Searcher Pro ($5.99 Monthly) through an In-App Purchase. Subscriptions will be charged to your credit card through your iTunes account. Your subscription will renew automatically, unless cancelled at the 24 hours before the end of the current period. You will not be able to cancel the subscription once activated. You can manage your subscriptions in ITunes Account Settings after purchase.